If you’re like most men in the United States, then you’re probably only vaguely familiar with the benefits of testosterone replacement therapy. The symptoms of low testosterone can interrupt your life, and at Men’s Vitality Center, we’re committed to helping you restore your life and your health. We’ve provided men in Tempe and the surrounding areas with high-quality testosterone injections, and we would be more than happy to help you, too. 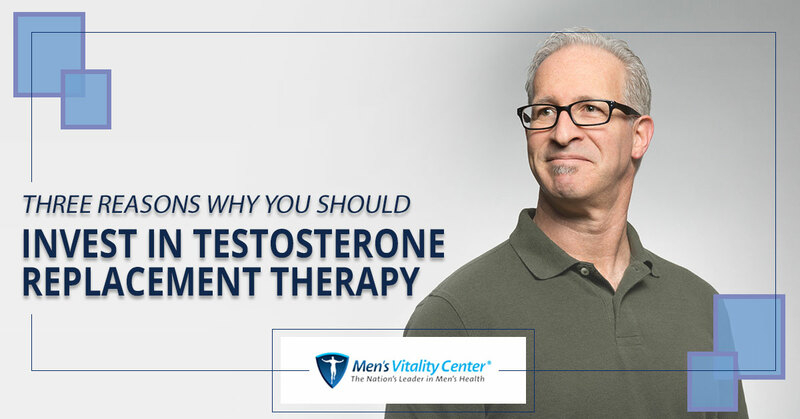 Get in touch with our office today to schedule an appointment, and read on to learn about three reasons why you should invest in testosterone replacement therapy! While most people think of sexual dysfunction when they think about the symptoms of low testosterone, many of the effects are psychological. Men who suffer from low testosterone levels often find themselves feeling fatigued, depressed, and anxious throughout the day. In fact, the symptoms of low testosterone often mimic the symptoms of chronic fatigue, making it difficult to find the motivation to exercise and maintain an active lifestyle. 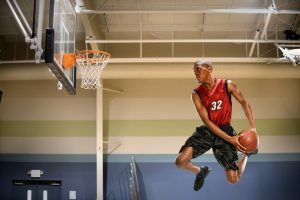 Regular testosterone injections will help you to feel more alert and motivated throughout the day, and you’ll find that your quality of life significantly increases as a result. Testosterone plays a crucial role in both muscle growth and muscle maintenance in men. Men who suffer from low testosterone levels often suffer from reduced muscle mass and a general feeling of weakness. Your metabolism will decrease as a result of muscle loss, and increased body fat will further reduce your testosterone levels. Breaking free of this vicious cycle often requires the help of testosterone replacement therapy. Many men who begin receiving our testosterone injections once a week find that their symptoms improve within 14 to 21 days, so don’t wait to get in touch with us if you feel like you’re losing strength and muscle mass. As we noted in the first section, low testosterone levels are often associated with the symptoms of chronic fatigue. Many men with low testosterone levels find it difficult to fall asleep and stay asleep, and the effects are often devastating to the body and mind. While researchers are still investigating how testosterone levels directly affect sleep quality, that testosterone levels affect sleep quality is undisputed. In fact, numerous studies have found that those who sleep for seven to eight hours each night have healthier hormone levels than those who sleep for less than seven, and testosterone is no exception. Men who invest in testosterone replacement therapy often find that they’re able to fall asleep faster and remain asleep longer after beginning testosterone injections, so don’t wait to reach out to our office if you’re having difficulty sleeping. These are just three of the reasons why you should be investing in testosterone replacement therapy. If you’re curious about your testosterone levels, or if you would like to learn more about our testosterone injections, then get in touch with our office to request more information. You can reach us at 480-588-2430 , or you can use our online contact form. We look forward to helping you transform your life!